You are at:Home»Game»Tips»Emoticon Your Ingress Comm! 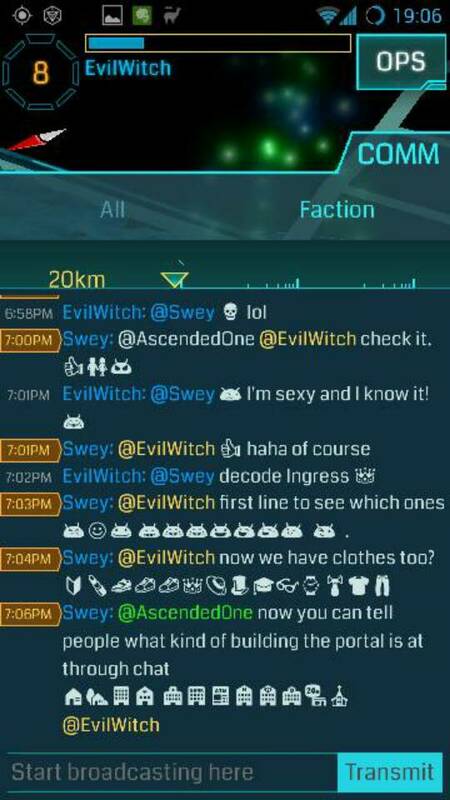 Oh, the good old emoticons, how could we have been missing them for so long from our Comms. All those fancy new Mods and other features took center stage for several weeks with all the reshares and postings on social networks. 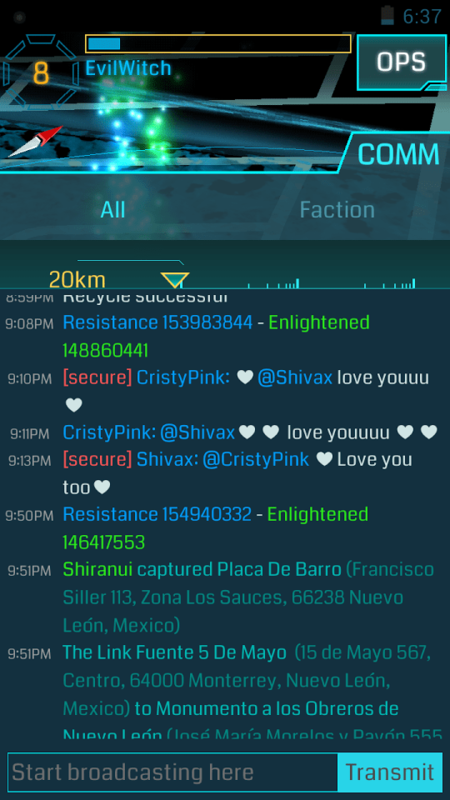 Now this old but effective way of communicating is part of our favorite Ingress chat. Also known as the COMM. For many players, interacting with strangers over the Comm can be a little challenging, with the many languages and different cultures that are involved in this wonderful Ingress world. Sometimes adding a friendly gesture can expand our idea and avoid being misunderstood. You don’t have to wait any longer, but you must be prepared to take a few steps before posting your comment. Here we’ll show you how. First you must have your Google Hangouts app on your tablet or smart device where you have your Ingress App. 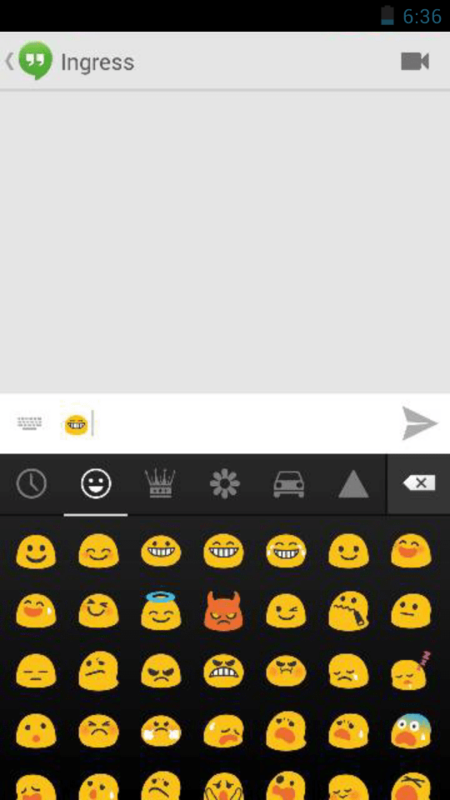 Open a Hangout conversation, open the emoticons option and select whichever one you prefer. Not all of the Emoticons work, but most of them will. Copy from Google Hangout, and then Paste into the COMM bar, the same way you do it when you place a Passcode. You’ll immediately see the emoticon appear along with your comments. Don’t forget to add @username of the recipient and have Fun! Use these emoticons to show your love! Here we’ve tested some of the different emoticons that work. Thanks a lot to danboabes for showing me this wonderful new way of communication and also to Swey and AscendedOne for participating in this experiment. I would like to thank DecodeIngress for this opportunity, I am so honored and don’t have words enough to thank you for it. I want to end this article by introducing myself to you. 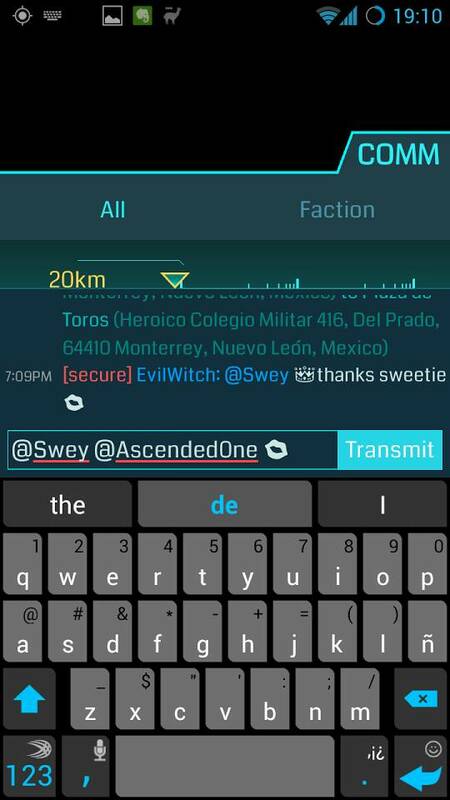 I’m EvilWitch, a Resistance player, Level 8 from Monterrey, Mexico. And thanks to all of you! Just Download the Multi Ling KB from the play store. Switch to it whenever you want to insert emoticons. Easier then copy pasting. Mine doesn’t work for whatever reason.